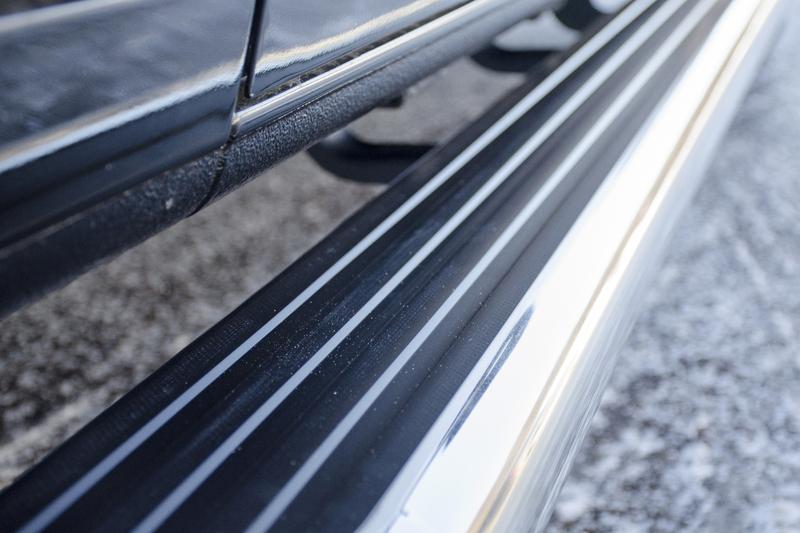 LUVERNE MegaStep® running boards are a unique combination of function and style, borrowing elements from popular nerf bars and running boards to produce side steps that are suited for both work vans and custom truck builds. 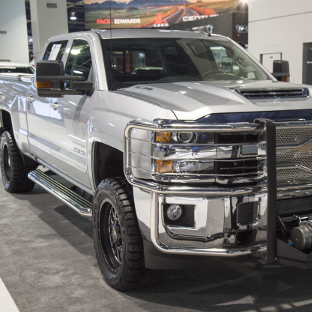 MegaStep® running boards offer excellent traction and safety with their full-length rubber treads, and they promote optimal fuel-efficiency with their aluminum core design. 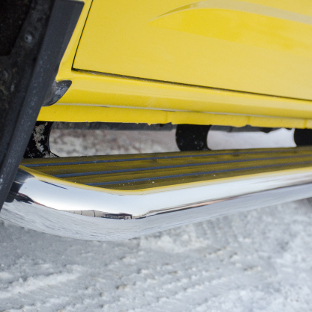 Each set installs with vehicle-specific brackets for a custom fit on your truck or cargo van. 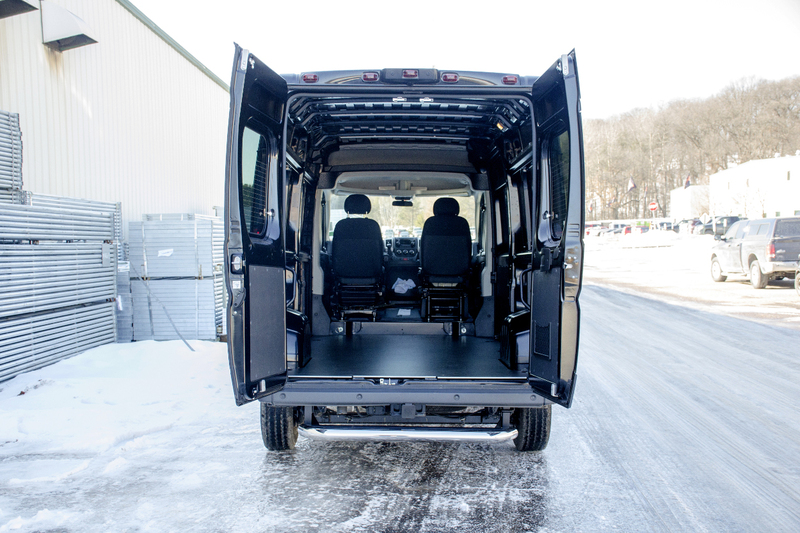 MegaStep® running boards are built for hard work and add a professional look to your truck or cargo van. Their high-traction treads and dual aluminum-stainless construction are ideal for the jobsite or offroad trail. 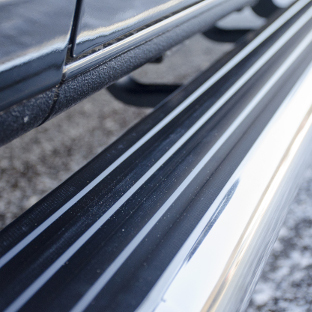 Each set of MegaStep® running boards is made for a vehicle-specific installation. 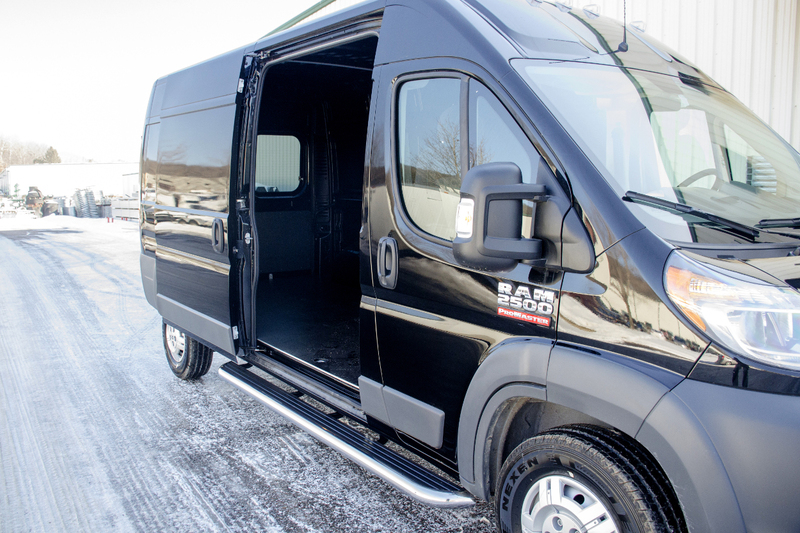 This ensures a custom fit on every pickup truck and worker cargo van application without the stress of difficult vehicle modifications. 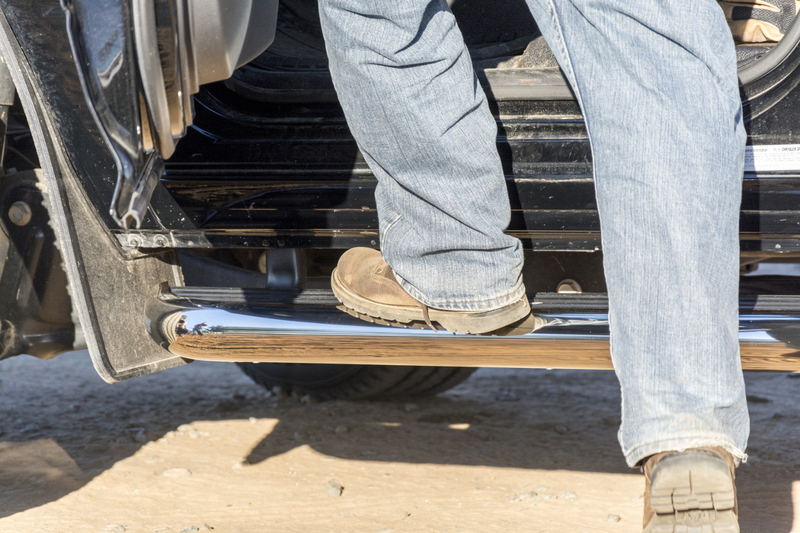 To give you safe, reliable footing for whatever task is on your to-do list, MegaStep® running boards are equipped with full-length rubber treads. The 6-1/2" wide boards are covered from end to end with a 5" wide non-skid stepping surface, providing dependable traction wherever you place your foot. Rubber construction offers enhanced traction versus cheaper plastic alternatives, and the 5" width and raised channels help maintain that traction in spite of the elements. MegaStep® running boards excel in professional style and durability. They feature a unique dual construction comprised of an aluminum base on which the rubber treads are mounted. 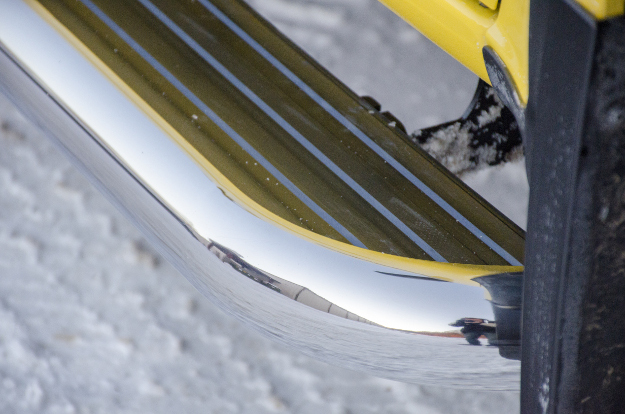 The running board is then finished with a highly polished 18-gauge stainless steel trim piece. The dual aluminum-stainless steel construction gives the running boards ample strength for tough jobs, while remaining lightweight. Both components are also highly corrosion-resistant, maintaining long-lasting reliability. 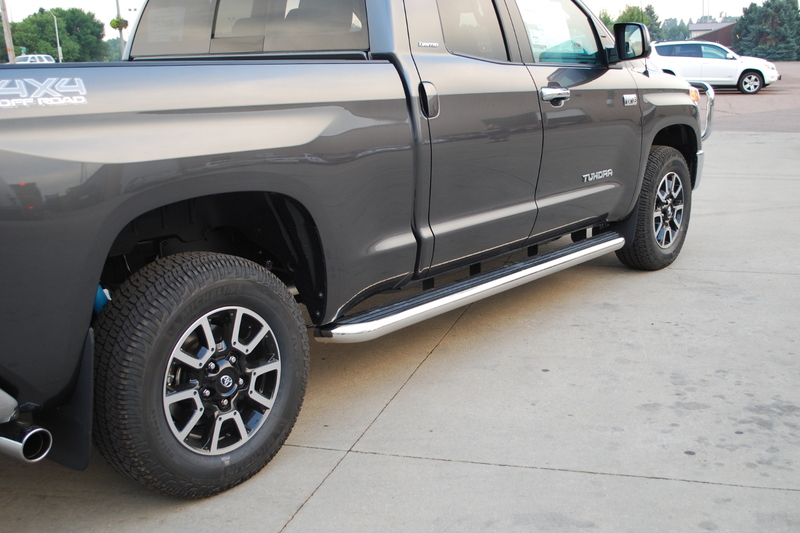 For a custom fit without the hassle, all MegaStep® running boards are engineered for vehicle-specific installation. Each pairing of boards and brackets is optimized to fit a unique truck or van application, utilizing existing mounting points as much as possible to eliminate difficult vehicle modifications. The running boards also come with pre-installed fasteners to further streamline the process. 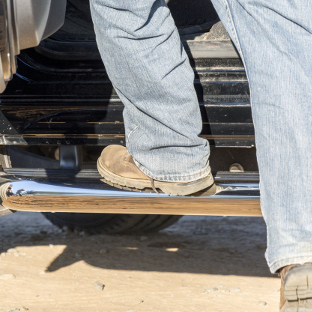 MegaStep® running boards install with high-strength steel mounting brackets covered in a durable black powder coat to withstand the rigors of the jobsite, season after season. 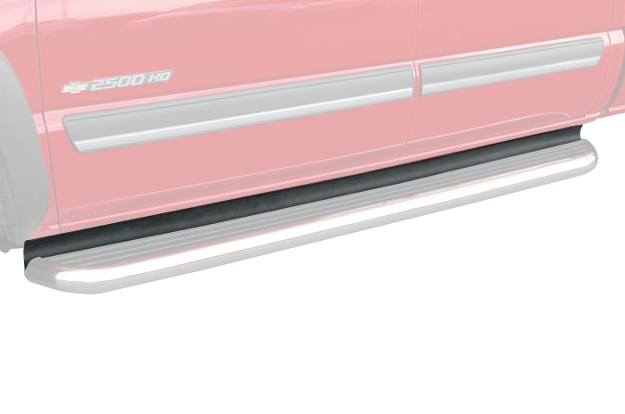 MegaStep® running boards are equipped with a unique installation feature that allows them to seamlessly integrate with your vehicle. Once bolted onto the brackets, the boards are able to be adjusted inward, outward, forward or backward. 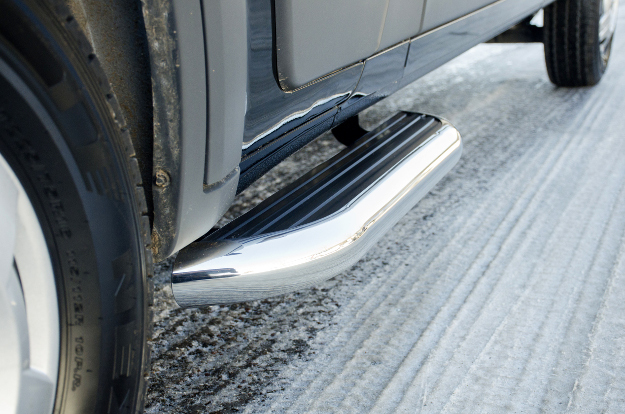 This adjustment feature makes the running boards extra versatile and perfectly tailored for your truck or cargo van. 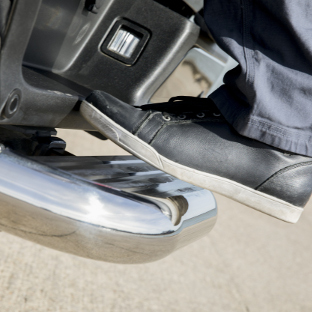 The boards are able to be positioned to fit your exact preferences, placing a non-skid step on your vehicle right where you need it. 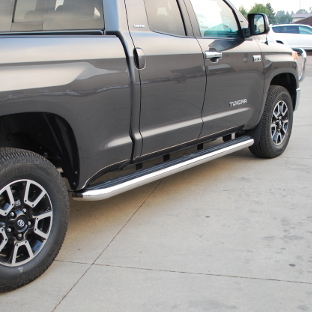 Enhance the functionality of your pickup truck with our MegaStep® wheel-to-wheel running boards. 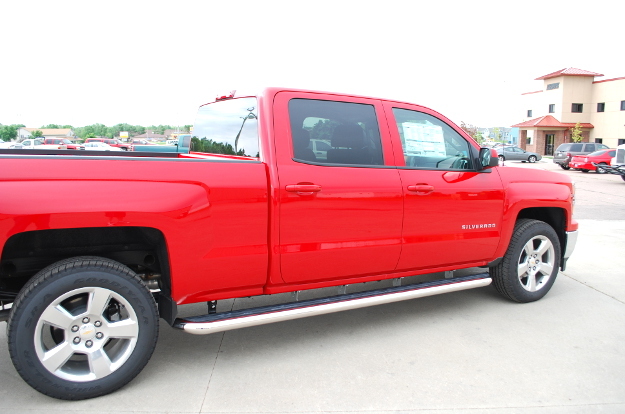 Available for select applications, wheel-to-wheel steps are running boards designed with extra length, extending past the truck cab and providing a handy step up for reaching into the truck bed. MegaStep® wheel-to-wheel steps are perfect for accessing truck bed cargo, a 5th wheel hitch, a truck tool box, a ladder rack or other truck bed accessories. To complete the look of your MegaStep® running boards and add a professional finishing touch, we offer optional backsplashes. These accessories mount along the inside edge of the running boards and help keep dirt, water and debris off the treads. 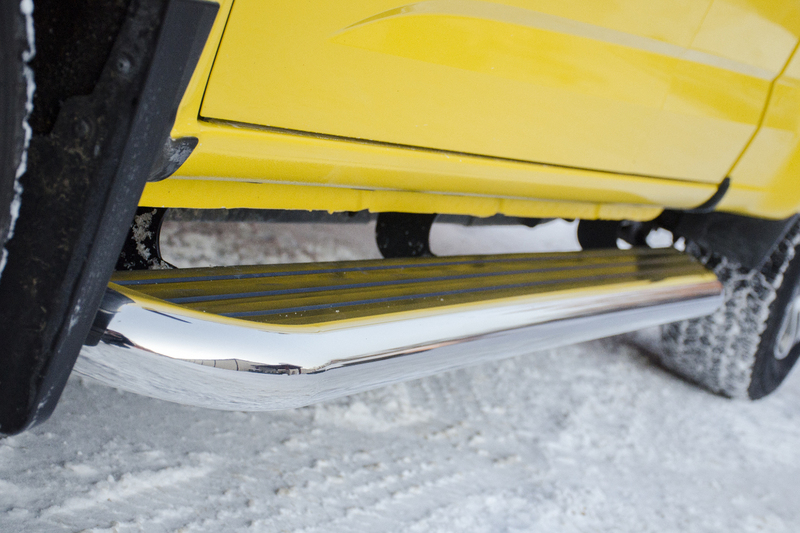 They also give the running boards a more integrated look on the truck or cargo van. Backsplashes are available in lengths of 88" (#570090) in 98" (#570098) and can be trimmed to virtually any length needed. 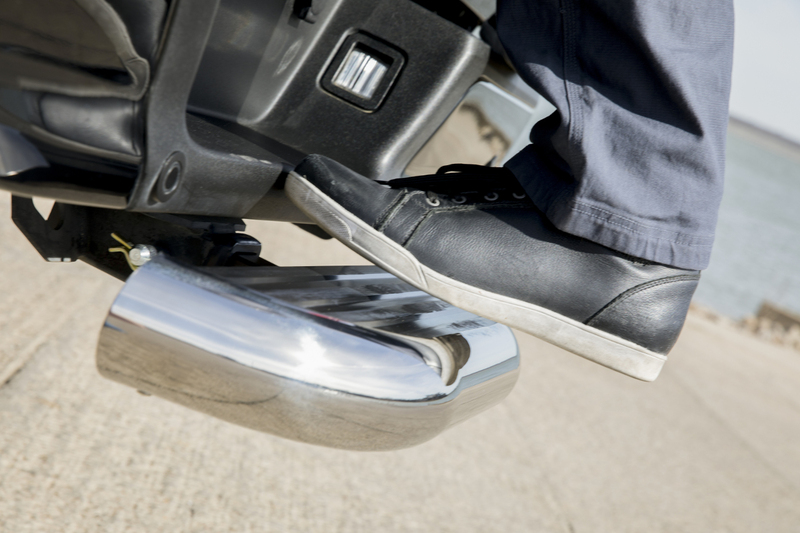 For a use-as-needed step on any vehicle, we offer a MegaStep® receiver hitch step. This versatile hitch accessory can be attached to any standard 2" receiver and provides a 26" non-skid stepping surface. 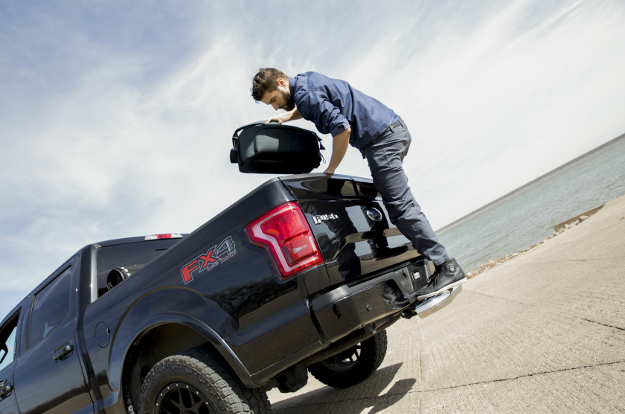 Receiver hitch steps are perfect for the rear of the vehicle, offering easier access into the cargo area or truck bed. 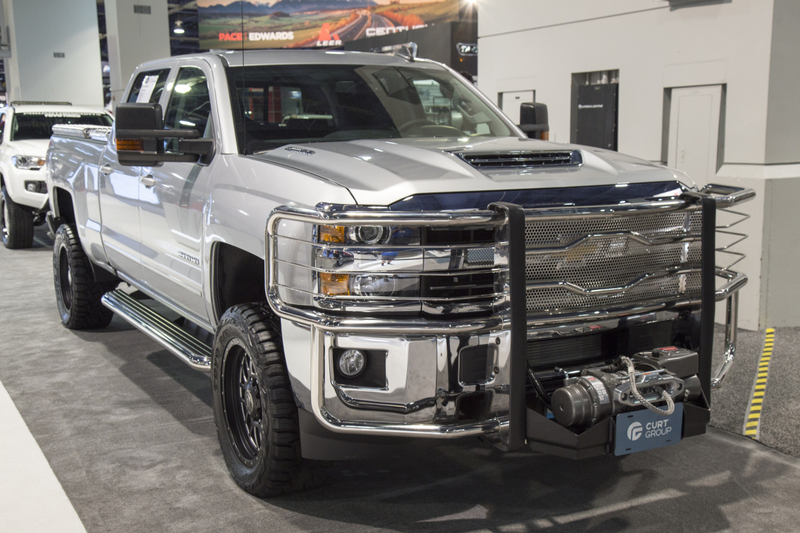 They can also be used on a front receiver hitch to provide easier access under the hood, especially on a larger, lifted truck or SUV. To find a hitch receiver for your vehicle, visit our fellow brand CURT. 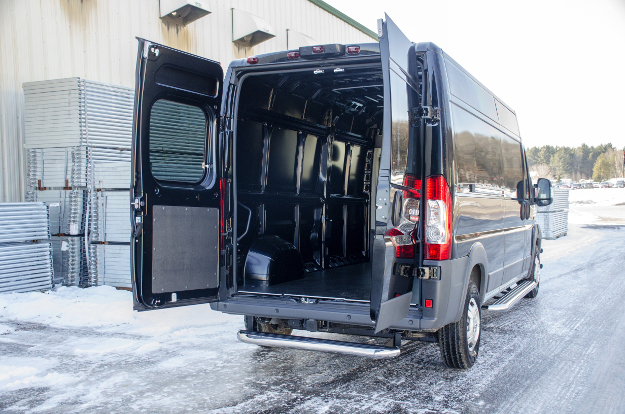 For select cargo van applications, MegaSteps® are available in a rear step configuration. 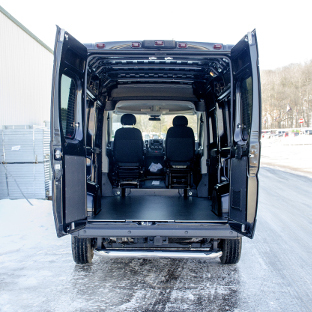 Rear steps are designed just like their side running board counterparts, only they mount onto the back of the vehicle to provide easier, safer access to the cargo area. 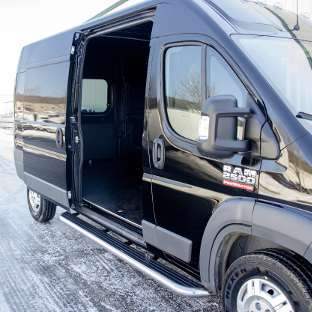 Rear steps for cargo vans are ideal for delivery vans, mail vans and other commercial work vans that require constant entry and exit from the back.